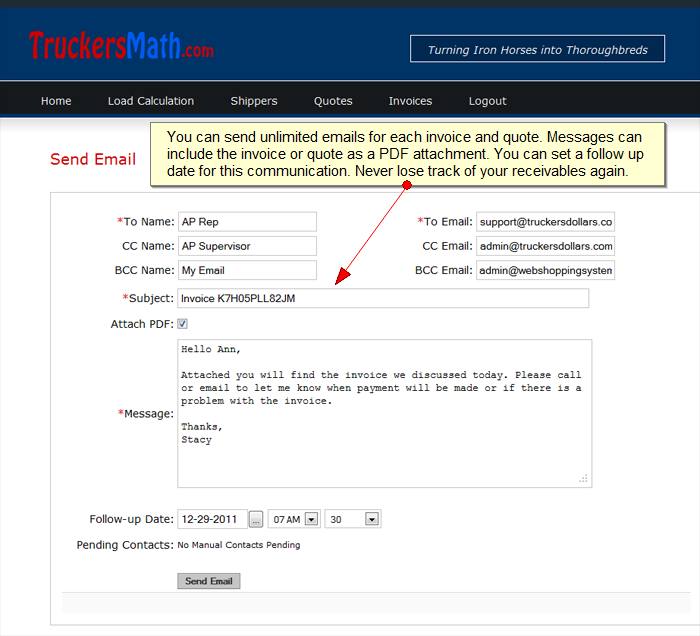 The email system built into the trucking software allows you to contact your customers about any quote or invoice. All of the contact information is stored in our databases for future review. Contacts are displayed when viewing the quote or invoice related to the contact. Your feedback have been received. Thanks for your time. Please visit us again.